The Protect It Futon Mattress Protector is a 2 layers of 100% smooth polyester material with a waterproof layer of polyurethane in the middle. They cover the entire futon mattress and protect agains dust mites, stains, and are anti-allergen. They have a 3 sided zipper for easy installation, removal, and cleaning. It is intended to be used as a protective layer, not a comfort layer. 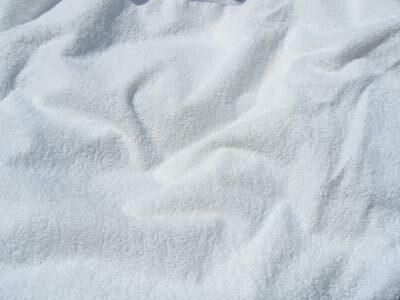 We also carry the following other styles of Bedding and Futon Mattress protectors for water, dust, allergies, bed bugs, and more. BedGuard Smooth Encasements - Completely encompasses your futon mattress or bed mattress and made in America with a Lifetime Guarantee. Box Spring Encasements - A Non Woven Bed Bug Proof Box Spring Encasement. This one is not meant to sleep on, but just to cover your box spring. Dust Mite Barrier - Prevents bacteria and dust mites from breeding in your mattress or futon. Full Protection - Barrier on all sides for complete protection agains stains.